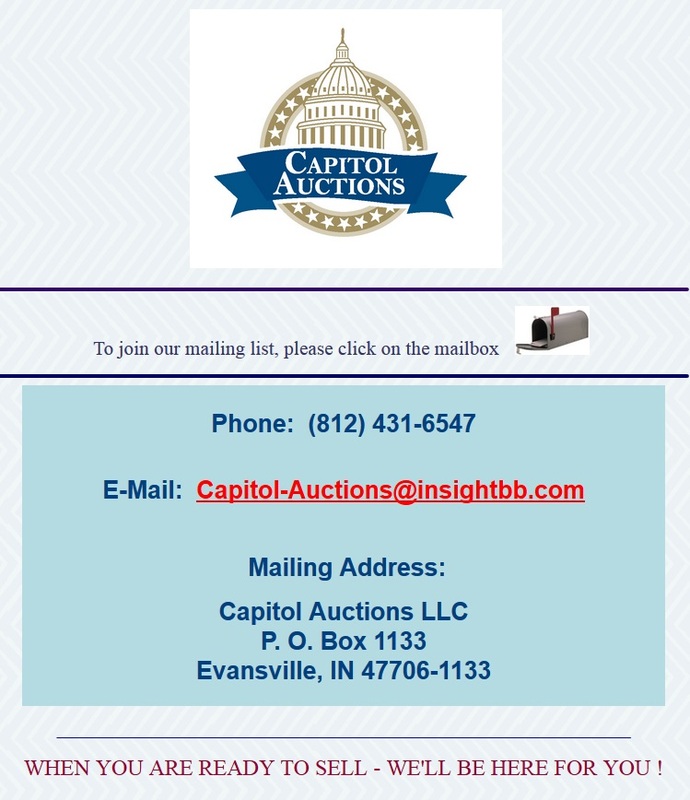 If you don’t know the numismatic terms used in this post, you have no worries because you can trust Capitol Auctions. We do. 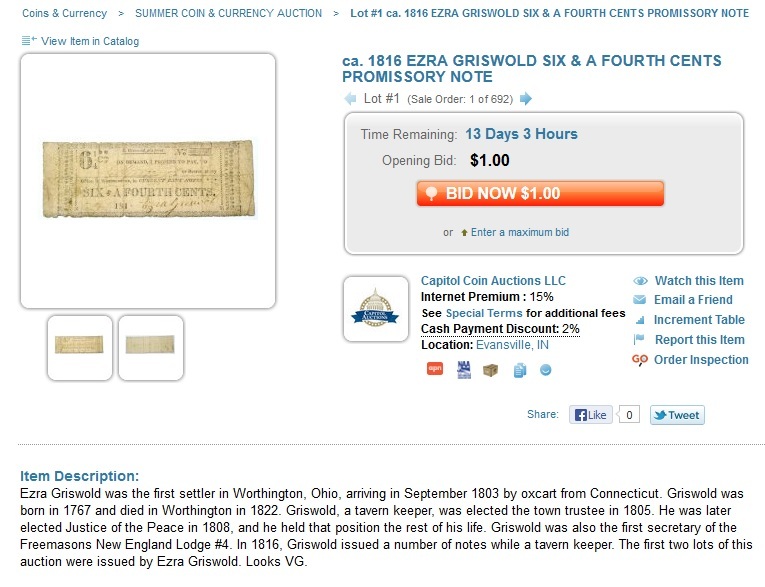 This entry was posted in Grading Auctions, Uncategorized and tagged American Numismatic Association, Auctioneers, Best Practices, Capitol Auction, Coin Auction, iCollector, National Auctioneer Association, Proxibid, Proxiblog. Bookmark the permalink. I do enjoy your articles and they provide me a base group of sellers to check. I continue to have concerns with the less than top group of grading services and wish the sellers who use them would use their expertise to comment as to their agreement/non-agreement with the grade on the slab. 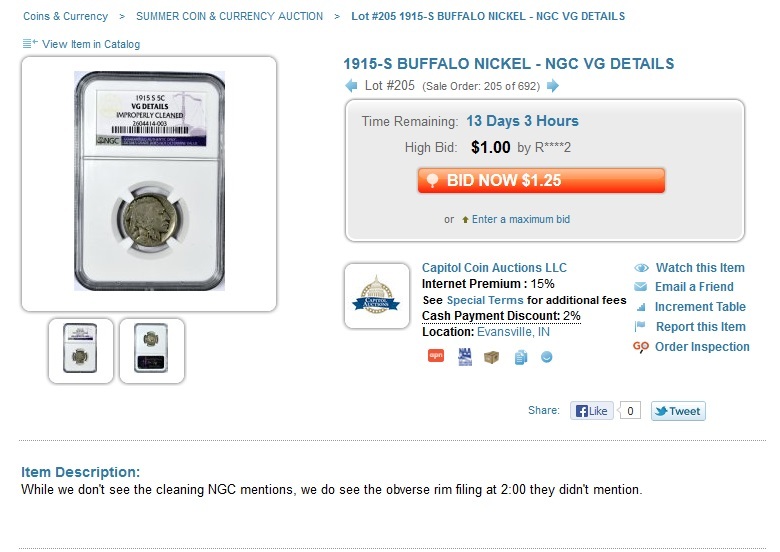 Sure grading is a personal judgment, however; if grading services whose grades are questionable on many coins are used I believe the seller has a responsibility to post their opinion on the grade. 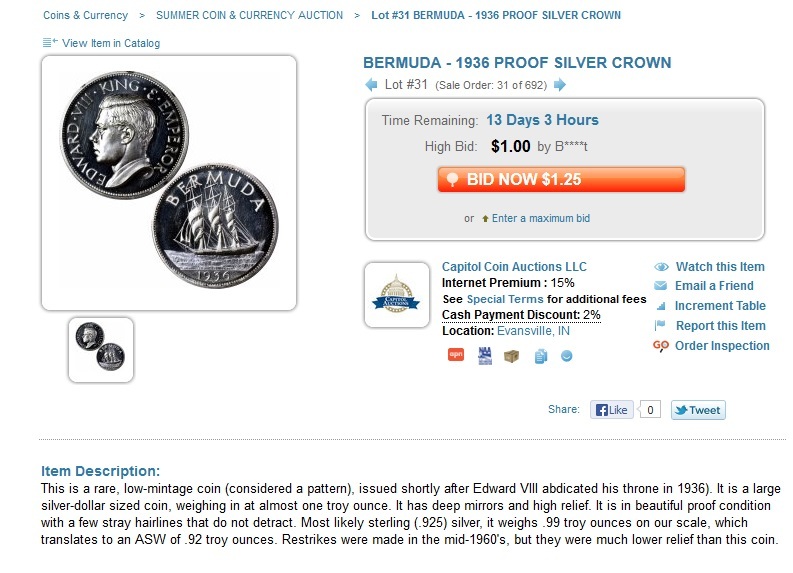 If I offer raw coins in a club auction, I always note any “issue” I see on a coin. So fine to hear from you! You are so right. 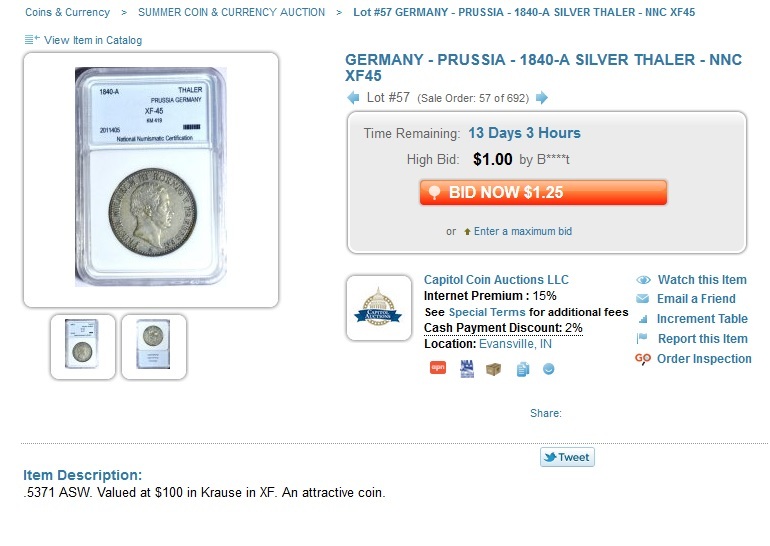 I grow weary with many Proxibid auctioneers passing off bottom-tier and self-slabbed coins as if graded by PCGS, NGC, etc. 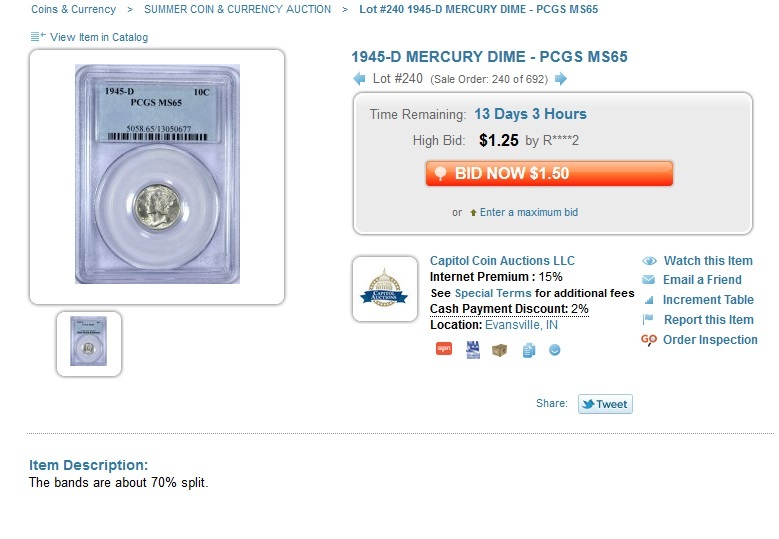 In fact, two of the auctions I buy from are using consignors who insist on slabbing their coins in bottom-tier slabs. If I win a lot, I crack the coin open and send in for consideration raw. 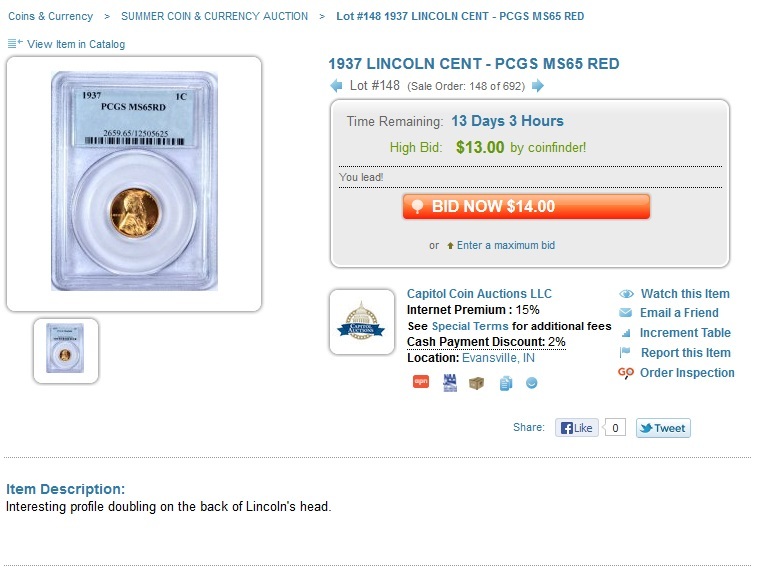 The slabs actually that these auctioneers are using make me question if there is a problem with the coin.